The history of Chicago-based Alligator Records is not just the story of the most successful blues label of all time, it is also the story of modern blues itself. 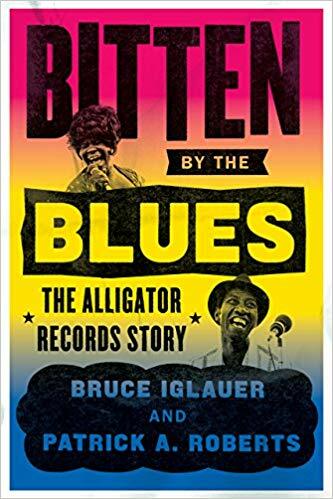 Alligator was the brainchild of Bruce Iglauer — the person whom Alligator revolves around — in his quest to bring to light blues artists who were little know outside of Chicago at that time. He did that indeed, and took his label from not only Chicago, but opened the world’s eyes to many more performers from corners far and wide. Iglauer grew up lonely, but found comfort in the music he heard around him. When he heard the blues, he became enchanted, and moved to Chicago, eventually asking Delmark Records’ Bob Koester for a job at his famous Jazz Record Mart. Iglauer became even more obsessed after hearing the trio led by guitarist Hound Dog Taylor, finally taking on the challenge of recording and releasing an album by the unknown, outside of Chicago anyway, band. It was the first release by the fledgling Alligator label and proved to be a huge success. That first release opened the door to bringing other local Chicago artists — Big Walter Horton, Son Seals, Fenton Robinson, and Koko Taylor — over the next few years. He eventually took on musicians from elsewhere and brought to the forefront people like long time players Professor Longhair, Lonnie Mack, Albert Collins, Roy Buchanan, Johnny Winter, Charlie Musselwhite along with newer artists like Little Charlie & The Nightcats, Saffire – The Uppity Blues Women, Michael Burks, Coco Montoya, and Selwyn Birchwood. The list is exhaustive. Not all projects were successful, but Iglauer sticks by his own rules for recording with the label — rules with which everyone may not agree. But he knows how to bring out the best in a blues player and it has shown many times over and again. The Alligator story is not just about Iglauer and the musicians. It also details the hardships of promoting and distributing the music itself; something that is getting more difficult as the years go by. 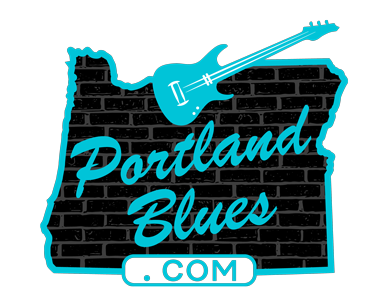 But fifty years into the label’s timeframe has broughta new life into the blues and hopefully something that will continue for many years. Bitten By The Blues is definitely a must read for any fan of the genre. By Bruce Iglauer & Patrick A. Roberts. The University Of Chicago Press. 337 pages.